New rules are expected to limit the use of small civilian drones to a height of about 300 feet, with larger ones requiring special licences. The increasingly widespread use of drones has led to concerns that they could pose a threat to commercial aviation. Last week the US Federal Aviation Administration introduced regulations on drones that require special pilot certificates and flights only during day time, with flying speed restricted to a maximum of 160 kilometres per hour and an altitude ceiling of 500 feet. Unmanned systems operated automatically or through remote control are being put to an increasingly broad range of civil and military applications, from surveillance and attack to search and rescue or even delivering mail. Companies such as Amazon have even considered using them to speed up delivery of books. 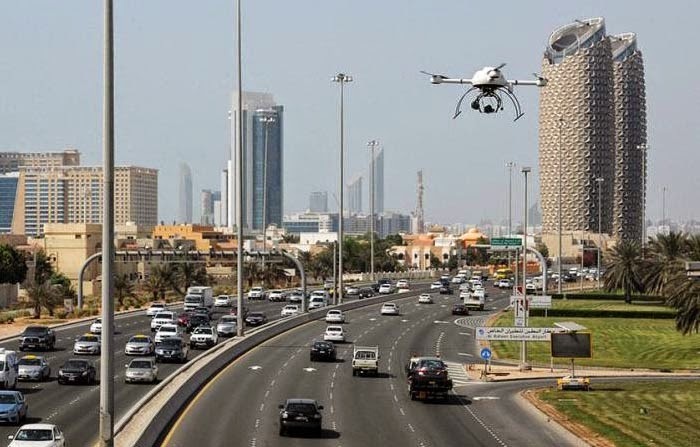 The UAE Government considers drones to be an important element of its smart government initiatives, and has weighed their use for delivering government such as Emirates ID cards and driving licences to people. “We will look at the government services that can be delivered through the drones. At the same time, the other commercial part such as drones with cameras. This all will be regulated, because we don’t want to jeopardise the safety of people,” said Mr Al Suwaidi. 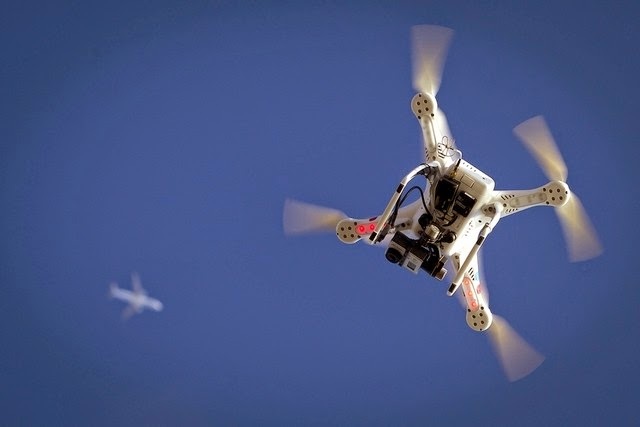 Last month, people flying drones in Dubai caused delays of more than an hour to flights at Dubai airport, with some flights diverted to Al Maktoum Airport in Jebel Ali. He added that drones that weigh 5 kilograms or more will need a licence. The Research service Business Insider Intelligence forecasts the total global spending on drones to reach US$98 billion over the coming decade, of that figure 12 per cent will be for commercial purposes. Unmanned aerial vehicles will take centre stage at the International Defence Exhibition and Conference, which gets under way today in the capital. The organisers have launched a dedicated exhibition for unmanned systems from around the world in which 33 local and international companies will be participating. According to a study from analysts at Teal Group, spending on drones will more than double over the next decade to more than US$11.6bn. The US is aiming for a larger foothold in the global drone market, after it recently received a nod to sell drones in overseas markets.